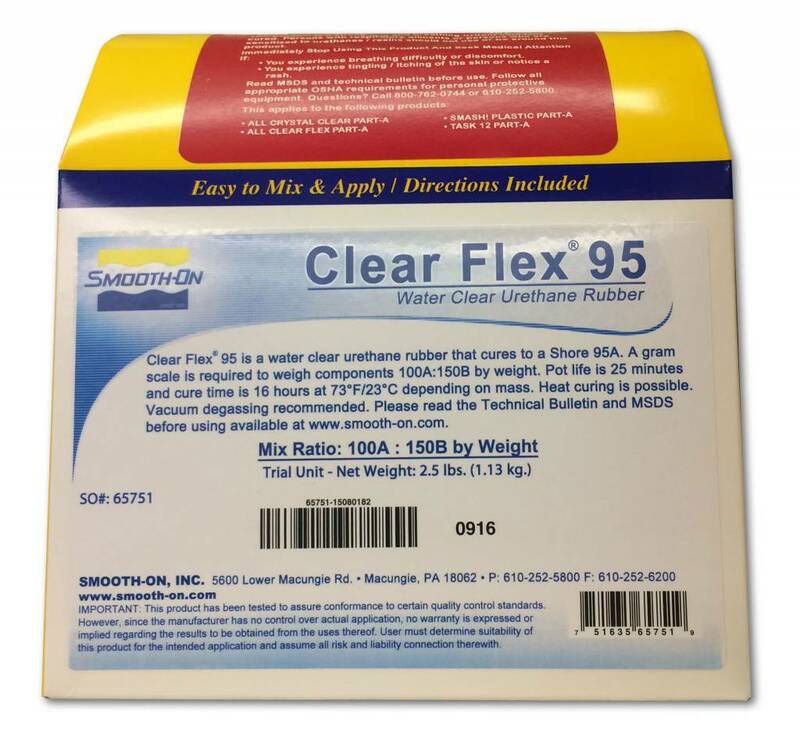 Clear Flex urethane rubbers are water white clear urethane liquid rubber compounds designed for applications that require absolute clarity and resistance to sunlight. 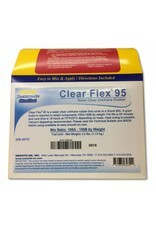 Low viscosity ensures easy mixing and pouring.Clear Flex® urethane rubbers cure at room temperature with negligible shrinkage.Cured castings are clear, flexible and UV resistant. Vibrant colors and color effects are achieved by adding pigments. Applications include making clear-cut molds, model reproductions, decorative cast pieces, special effects, prototype parts. CAUTION: NOT FOR HOME USE. THIS PRODUCT IS FOR INDUSTRIAL USE ONLY. Proper ventilation, A NIOSH Approved Respirator and Protective Clothing are required to minimize the risk of inhalation and dermal sensitization. If breathing is affected or a dermal rash develops, immediately cease using this product and seek medical attention. Read MSDS before using.